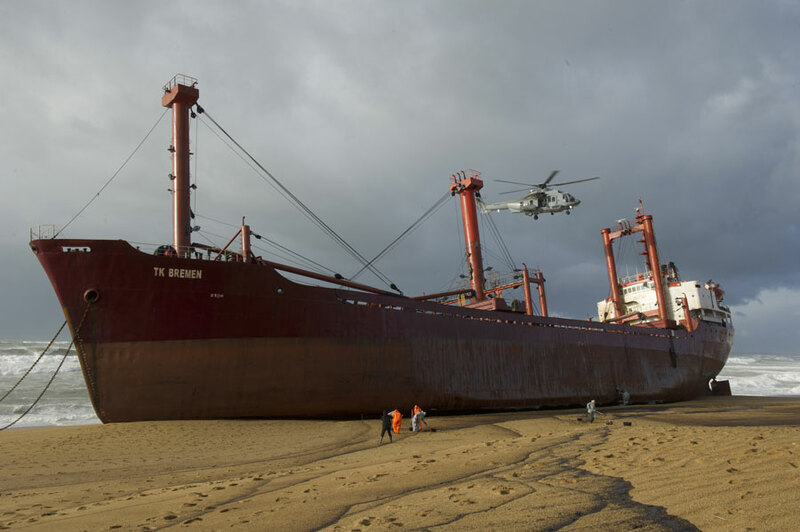 The 109 meter long, 6605 dwt freighter TK Bremen went ashore in the Bay of Biscay along the Quiberon peninsula near Etel River, France. 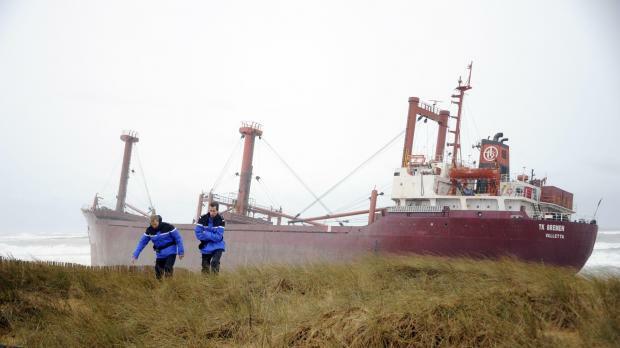 The TK Bremen was sailing from Lorient in ballast when caught in a severe storm with wind gusts upto 83 mph and waves reaching 7 meters in height. 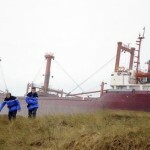 The master decided to drop anchor behind the shelter of Groix island, but the vessel’s anchors dragged and the vessel went ashore. 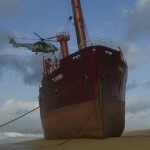 The crew of 19 were airlifted off the vessel. No reports of injuires. 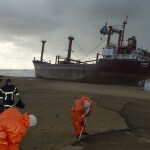 The TK Bremen’s bunker tank was punctured during the grounding and an oil slick has formed around the vessel. 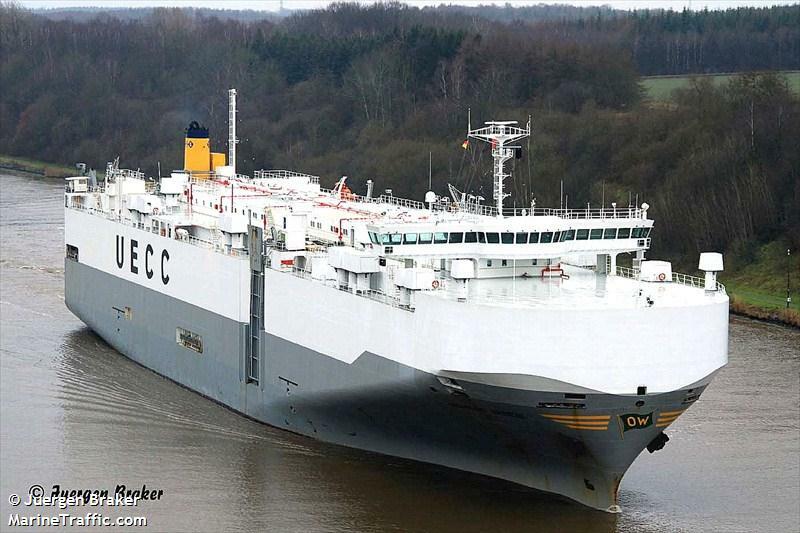 Reports state some 220 tons of fuel was released into the water. 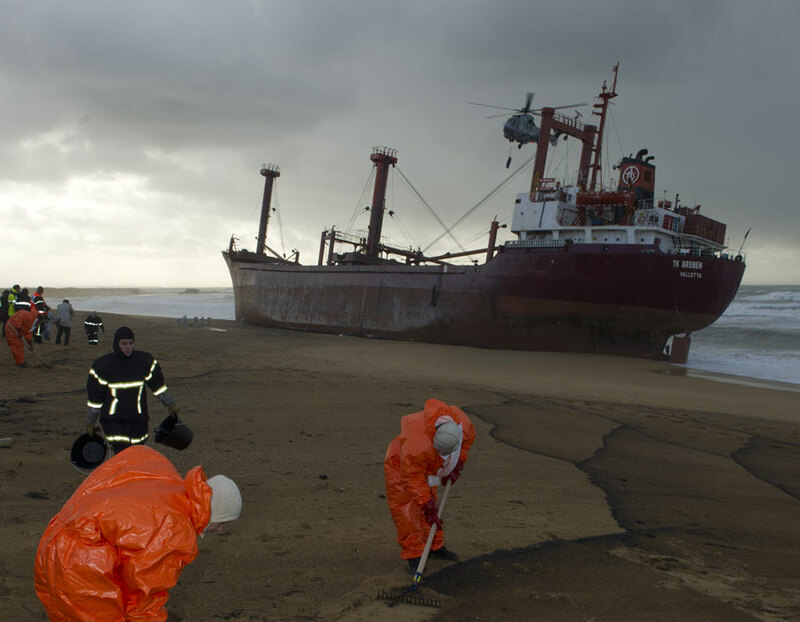 Authorities have begun clean up operations while steps to keep further fuel being released from the vessel. 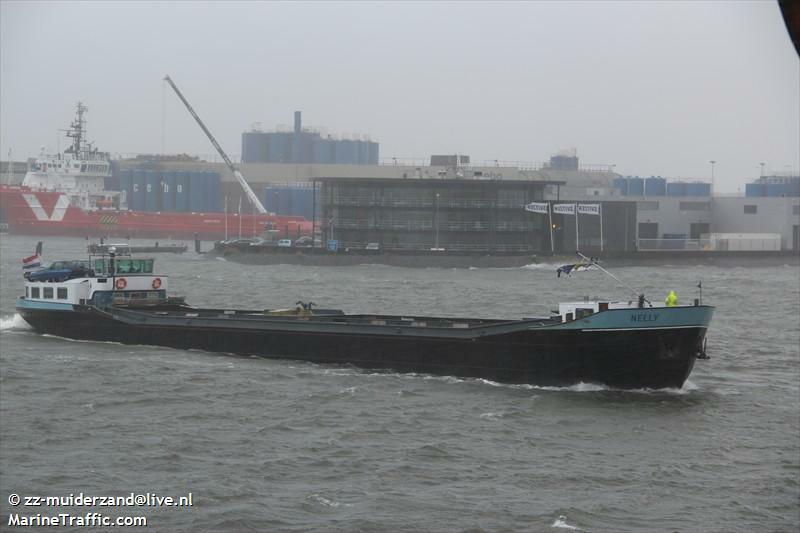 The 63 meter long self-propelled barge Nelley collided with the self-propelled barge Capella in the Noordhollands Canal near Akersloot, Netherlands. 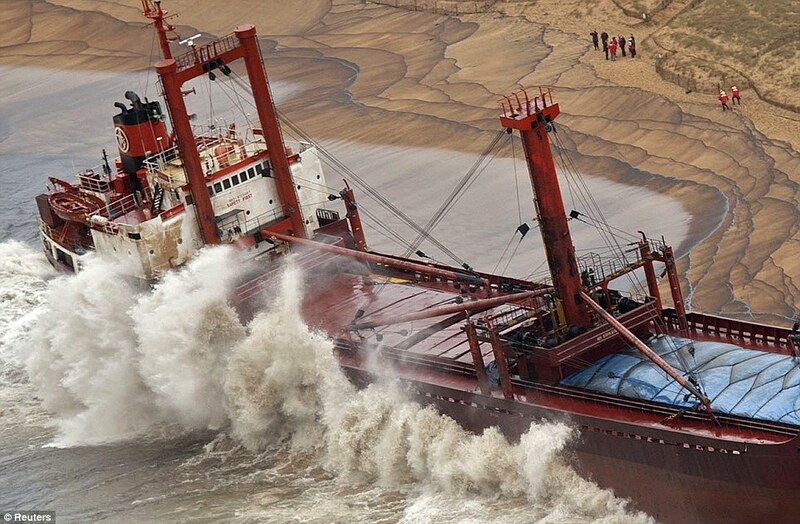 The Nelly suffered damage with a hole in the hull and water ingress until it sank. The local fire rescue service was able to pump water out of the Nelly to allow it to refloat with some assistance of a dredger. No reports of damage on the Capella. 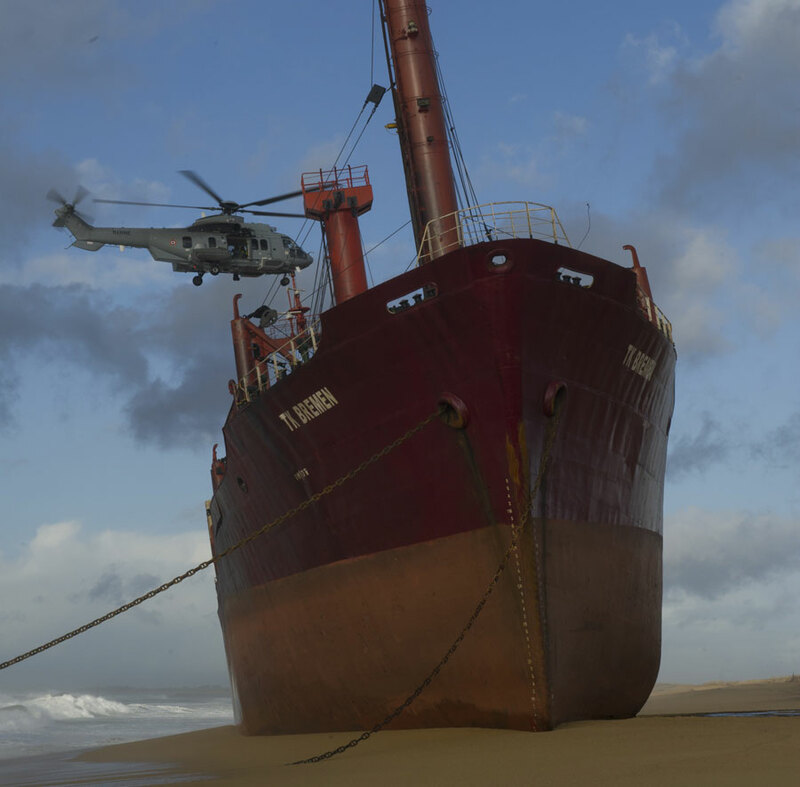 No injuries reported either vessel. 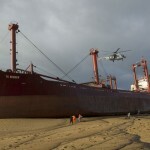 The cause of the collision is not known. Authorities plan to investigate the incident. 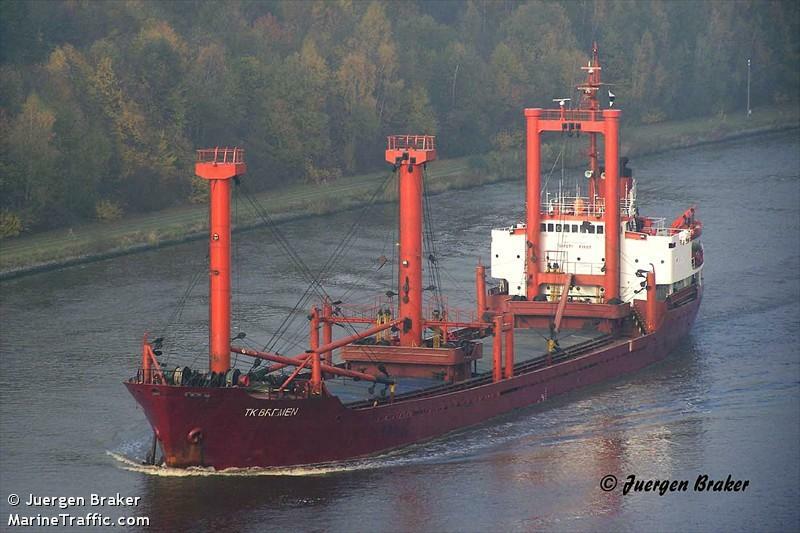 The 164 meter long, 12466 dwt freighter Arabian Breeze allided with the Holtenau Lock in the Kiel Canal. The Arabian Breeze was pushed off course by a strong gust of wind and struck the pilings at the lock entrance. 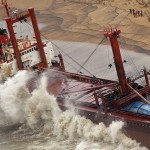 The freighter suffered some damage in the foreship. No reports of injuries or pollution being released. 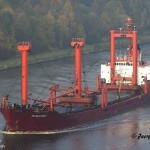 The freighter was scheduled to Malmo from Bremerhaven before the incident.